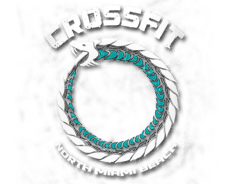 Welcome to CrossFit North Miami Beach. Since 2009 we have utilized the CrossFit methodology of fitness and nutrition, we strive to bring the reality of elite levels of fitness to the masses. Special Forces, expecting mothers, collegiate athletes, military members, business executives, police officers, grandmothers and grandfathers, fire fighters, high school athletes, and regular folks like you and I, have all walked through our doors and have been positively impacted by our training regimen. We are not your typical gym, we are a fitness facility. Crossfit is unlike any other "working out" you will do. It is interesting and challenging. At Crossfit NMB Jonas, Steve and Johanna keep you motivated (without acting like drill sergeants) and teach you how to do everything. The members are friendly and as mentioned in other reviews, the sessions are a mix of levels from people who have been training forever to newbies. After a workout you feel great and are motivated to keep going. Meet the people that make our company special. Marston, Jonas, and Eric are the three CrossFit NMB coaches and can be found wandering the gym at different times of the day. We are always willing to help you answer any questions you may have. As well as do everything we can to help you accomplish your goals, and assist you along your journey to good health.